Description: Alderaan, located in the Core Worlds, was the second planet in the Alderaan system, and the home of many famous heroes, including Leia Organa Solo, Bail Organa, and Ulic Qel-Droma. Renowned galaxy-wide for their planet's unspoiled beauty, refined culture, and commitment to peace, Alderaanians worked with and around the land to preserve as much of the natural surroundings as they could. Originally the home of the Killiks, Alderaan was later conquered by Humans. Despite a battle during the Great Galactic War and a civil war during the subsequent Cold War, Alderaan remained peaceful during much of galactic history. However, in 0 BBY, Grand Moff Tarkin and the Galactic Empire wanted to intimidate the galaxy into submission, and destroyed the unarmed and peaceful planet using the first Death Star's superlaser. A lush, mountainous world, the native Killiks evolved from the most intelligent non-sentient species on the planet circa 1,000,000 BBY. Constructing massive hives, such as in the Castle Lands near Oroboro, the Killiks ruled the planet until departing the world and colonizing nearby Alsakan, and later departing for deep space after consuming all of Alderaan's natural resources. Human colonists came to the planet from Coruscant, via the Herglic Trade Empire, in 27,500 BBY and built a peaceful civilization in harmony with nature. Settlers were attracted from across the Core Worlds, drawn by Alderaan's natural beauty. Eventually the Alderaanian monarchy came into existence, and with it the implementation of many laws designed to preserve the environment. Alderaan was a founder of the Galactic Republic in 25,053 BBY and one of the anchor-points for early hyperspace exploration. Alderaan was headquarters of Alderaan Royal Engineers, an early Republic shipwright; with these ships Alderaanian colonists settled Nim Drovis. 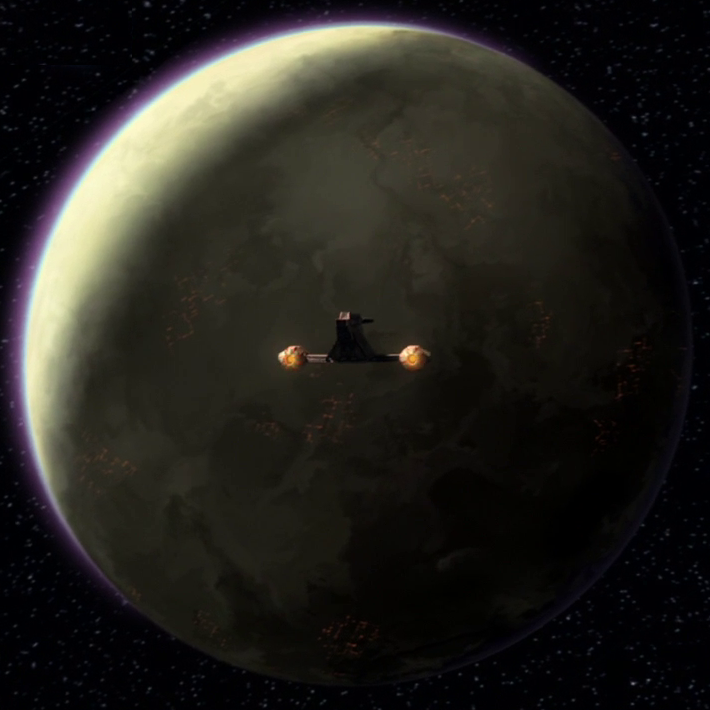 During the Mandalorian Wars, the planet was threatened with invasion by the forces of Cassus Fett, but the entire invasion force was prematurely obliterated, due to misuse of an ancient Sith artifact. During the peak of the Great Galactic War, the planet's peace and tranquility was shattered by a full-scale Sith Empire invasion. The Sith quickly overwhelmed the local defense forces and took the entire royal family hostage. In response, a Republic and Jedi task force launched a swift counter-offensive against the Sith; recapturing the planet and inflicting a heavy defeat on the Sith. As a consequence of the Sith invasion, the Alderaanian leadership adopted a hardline militarist stance towards the Sith Empire in the Galactic Senate. In 3653 BBY, the Treaty of Coruscant ended the decades-long conflict in favor of the Sith Empire, which had earlier launched a devastating attack on the galactic capital Coruscant. In protest, Senator Gaul Panteer, the Alderaanian Crown Prince, walked out of the Senate and withdrew Alderaan from the Republic. The crown prince's actions created much division in Alderaan. While many supported his actions, others were outraged by the secession from the Republic. The crisis worsened with the assassination of the prince and the death of his mother a few days later. The Alderaanian Parliament was quickly torn apart by infighting between rival houses. A bloody civil war quickly ensued when one of these houses attempted a military coup. In the subsequent Interstellar Cold War between the Republic and the Sith, the planet was the site of a number of border skirmishes and proxy battles between Republic and Sith forces. The Republic backed House of Organa while the Sith backed the formerly exiled House of Thul, which sought to reclaim the throne. Neither side had military forces on Alderaan. During the last five centuries of the Old Republic, Alderaan nobility was known to enjoy the seafood from Lamaredd distributed by Bartyn Gourmet Delicacies. In 27 BBY, Alderaan was personally protected by Jedi Master Eeth Koth during the Ashaar Khorda crisis. 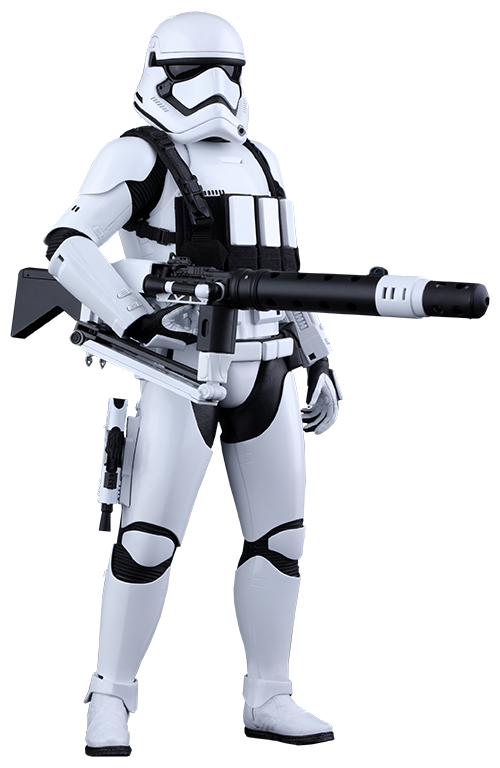 As a whole, Alderaan strongly opposed the Military Creation Act; they had their own security forces, but remained loyal to the Republic during the Clone Wars. Alderaan allowed Refugee Relief Movement settlement by displaced exiles from Ando and other Separatist worlds who wished to remain Republic citizens. Due to its assistance of these exiles, Alderaan was attacked personally�nearly "being destroyed"�by General Grievous. With the rise of the New Order, Queen Breha Organa and Viceroy Bail Organa adopted Leia Amidala Skywalker. The Galactic Empire violently terminated the Jedi Praxeum on the planet, though a few students escaped. Shortly afterwards, Jedi Knight Ylenic It'kla led a remnant of the Caamasi people to settle on Alderaan after Palpatine desolated Caamas. Ylenic served as Trustant of the Caamasi Remnant and adviser to the Organas. Immediately after the formation of the Galactic Empire, Alderaan was wracked by anti-Imperial protests, mainly from alien refugees who were now forced to pay an exorbitant tax to return home. Alderaan eventually became a safe haven for rebellious elements who wished to fight the growing oppression of the Empire, which helped bring on the planet's very downfall. When Bail Organa, Garm Bel Iblis, and Mon Mothma formally created the Rebel Alliance, many Alderaanians volunteered their resources and lives, despite the still fresh memories of the Clone Wars. Many of the early warriors of the Alliance, and subsequently, many of its leaders and officers, were Alderaanian. After the horrors of the Clone Wars, Alderaan's frigates and light cruisers were dismantled and the world's defensive armaments and superweapons were placed aboard the armory warship Another Chance. The ship was programmed to continually jump though hyperspace until called home by the High Council. They would not have the opportunity. Shortly after the destruction of Despayre, Alderaan was the first strategic target of the first Death Star. In a demonstration of its power to Princess Leia, Grand Moff Wilhuff Tarkin ordered the destruction of her home, despite Leia's protest. 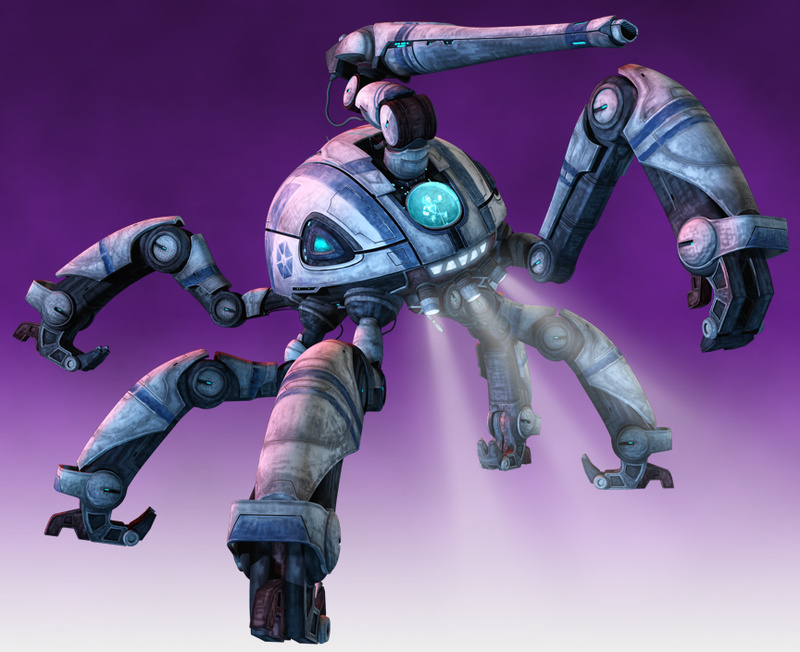 While she claimed the planet was weaponless, it is said it had some of the strongest defenses in the Empire. When Death Star gunner Tenn Graneet threw the switch to initiate primary ignition, power was channeled from the hypermatter reactor through the Superlaser, coming out at super luminal velocity. The beam pushed a large part of Alderaan's mass into hyperspace, causing the planet to nova. The deaths of the billions of sentient people caused a massive disturbance in the Force. Obi-Wan Kenobi felt the disturbance while en route to the Alderaan system, and told Luke Skywalker that it felt "as if millions of voices cried out in terror and were suddenly silenced." On the Death Star, Force-sensitive stormtrooper Nova Stihl passed out from the shock of sensing all the deaths on Alderaan, and Princess Leia also felt the disturbance in the Force, although she was unaware of her sensitivity at the time. The plan drastically backfired, driving thousands of beings to the Alliance cause, even in the Core Worlds, and sending many planets in the Mid Rim into open rebellion. A number of Alderaanians serving in the Imperial military defected to the Rebel Alliance after learning of their homeworld's destruction; among the defectors was the TIE fighter pilot Tycho Celchu. The Imperials attempted to pin the blame for Alderaan's destruction on the Rebels, keeping a small number of people loyal to the Empire; however, the ruse convinced few. The remains of Alderaan became known as the Graveyard and many Alderaanians who were off-planet when Alderaan was destroyed performed a private ceremony called the Returning, and would shoot capsules filled with gifts for their friends and family. Some Alderaanian Exiles who called themselves the Guardians, took to patrolling the Graveyard to prevent pirates from stealing the capsules. These Alderaanians were held in rather high regard among the exiles. Han Solo and his crew of the Millennium Falcon, were among the first to visit it. In the months after the destruction of Alderaan, Imperial agents often lay in wait for ships performing a Returning ritual. They boarded the ships and arrested the passengers and crew. The Rebel Alliance considered quarantining the Graveyard, as these Imperial actions were too risky for the Alliance. In 0 ABY, a group of Alderaanians formed a colony on Ejolus, but it was wiped out by the Empire only eight months after their homeworld's destruction. However, shortly after the Ejolus colony was wiped out, the remaining refugees were taken in by the Alderaan Alliance, who gave them residence on New Alderaan discovered by the Rebel Alliance. Even in 24 ABY, Force-sensitive individuals such as Tenel Ka Djo could still feel echoes of the Force disturbance caused by the deaths of the planet's population. It was also at this time that Jacen and Jaina Solo retrieved a piece of the planet's core, removed via lightsaber, as a birthday gift for their mother, Leia. Considered the "Shining Star" of the Core Worlds, wild grasslands and old mountain ranges dominated the planet's land surface. Large oceans and scattered inland seas provided the planet with ideal conditions for a large variety of flora and fauna to develop. As such, Alderaan was the homeworld of some of the galaxy's most famous animals, such as the nerf, the grazer and the thranta. Alderaanian cities were often built with great care taken to protect nature. One such city, Crevasse City was built on the walls of a canyon, nearly invisible from above. Others were built on stilts along the shoreline or under the polar ice. The capital, Aldera, known for its university, was built on a small island in the center of a caldera. In the Castle Lands, the remains of Killik mounds stood as a silent testament to the indigenous species that had disappeared for unknown reasons. Philosophers, poets, and artists often visited the Castle Lands for inspiration and meditation. Alderaan was home to more than eight thousand subspecies of grass and an even larger number of wildflowers. Its flora also included a massive variety of spices, herbs, and grains. The planet had no major oceans, but it had a single polar ice cap. 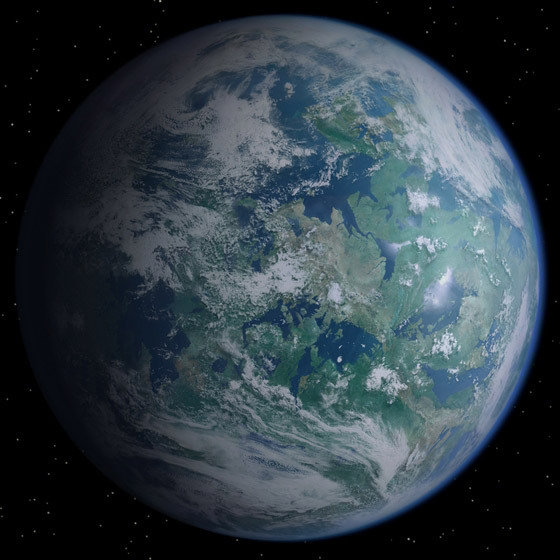 The rest of Alderaan's surface water was composed of thousands of lakes and connecting waterways. Alderaanian culture valued education, the performing and fine arts, and peaceful resolutions to conflicts. They placed high value in their participation in the Galactic Senate and later, its Imperial equivalent. The Alderaanians constantly sought a harmonious existence with their surroundings, evident in their integration of their society into the natural terrain of Alderaan. Alderaanians were known for love of philosophy. The average Alderaanian was very educated and cultured. Poets and artists thrived on Alderaan. The beauty moved the pens of poets, while the vast grasslands served as a canvas for grass paintings. Alderaan was also famous for its cuisine. The large variety of spices and herbs allowed chefs to experiment and create some of the finest dishes in the galaxy. Steamed Alderaanian spiced wine was a favored beverage among many. Some of the planet's major exports included wine, art, and luxury goods. Alderaan was known as "Planet of Beauty," and was voted the safest world in the galaxy by Hyperspace Traveler. Although a democratic society, Alderaan was headed by a hereditary constitutional monarchy, with the House of Organa presiding over the High Court and legislative High Council of Alderaan. Its monarchs have variously borne the titles "Prince," "First Chairman," "Queen," "King," and "Viceroy." Traditionally, the heir of the Alderaan throne also served in the High Council of Alderaan and a term as Senator of Alderaan. A vizier helped the monarch rule, and many different Noble Houses each had considerable influence in government. Alderaan's government deliberately halted itself from so much as questioning spacecraft leaving or arriving on the planet. Several decades before the Clone Wars, a political conflict between the high houses of Alderaan arose. This conflict, known as the Alderaan Ascendancy Contention, was the result of the inability of the great families (among them the House of Organa and the House of Antilles) to choose the next Viceroy of Alderaan. Three separate votes yielded no winner, and so the Alderaanians contacted the Galactic Senate, which sent a committee including Jorus C'baoth to resolve the contention. The participants considered the intricacies of the situation, and decided that House Organa bore the rightful claim to the throne in a month. Bail Organa was the leader of Alderaan and was on the planet when it was destroyed, while his heir and (secretly-adopted) daughter Princess Leia served as Senator of Alderaan in the Imperial Senate.